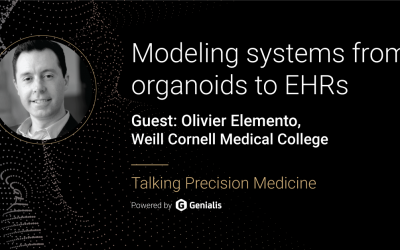 Genialis is focused on data integration and predictive modeling of disease biology… to help accelerate the discovery and de-risk the development of novel therapeutics. In this episode, we speak with Patrick Hanley. 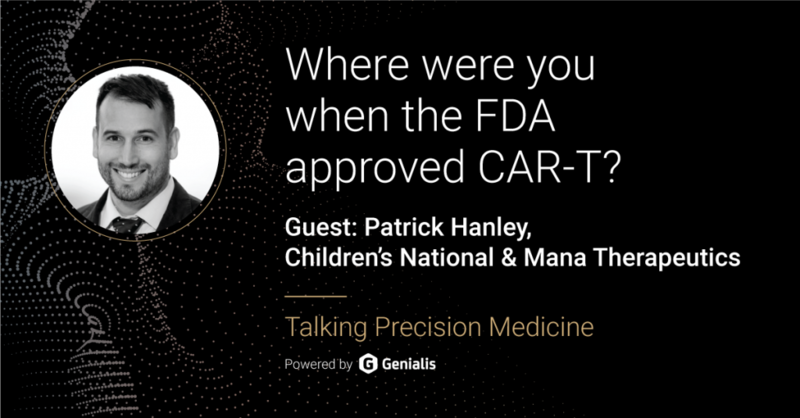 Patrick works at the Children’s National Hospital in Washington DC, where he serves as the director of Good Manufacturing Practices for Immunotherapy. 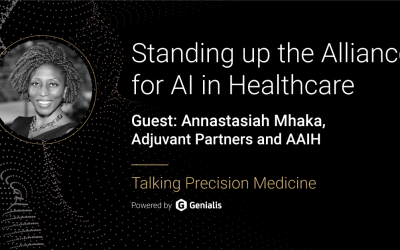 He is also a co-founder and vice president at Mana Therapeutics — a cell therapy company harnessing our immune cells to combat cancer. He is an expert in designing and manufacturing cell therapies… and was once a fierce competitor on the Houston indoor soccer circuit. It’s only in the last 7 years that the industry has really been involved in cellular therapies. Until recently, there was only a number of boutique cell therapy centers that were doing the majority of the research. In order to get a cellular therapy, you had to go to NCI, Baylor College of Medicine, St. Jude, Sloan Kettering or UPenn. Now with the advent of CAR-T cells, everyone wants to be involved in cellular therapy and they see it as the next generation of therapies in this personalized medicine revolution. You can program the T-cell not only to kill the tumor but to find it first too. Traditionally, they spent 20% of manufacturing for new drugs and 80% for the clinical protocol. Now with these new biologics, like CAR-T cells, these products are not 80% manufacturing and only 20% of their clinical study. 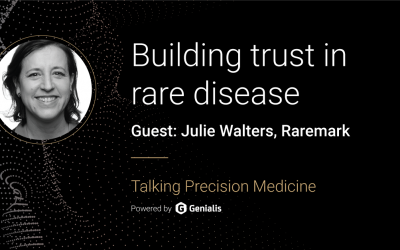 So precision medicine is turning traditional pharma on its head. We need to create off-the-shelf cell therapy products and this is going to be a challenge. I don’t have the answers, but I do think the third party products would be much easier to implement than a truly personalized one product per patient approach. We can look at patients that get a bone marrow transplant and all the patients who are going to relapse. Let’s give them our T cell therapy. Let’s say we target one protein, does that work? What if we try 2 proteins? And using big data and a lot of patients treated, you can figure out what the best approach is rather than just trying to guess whether it is working or not.